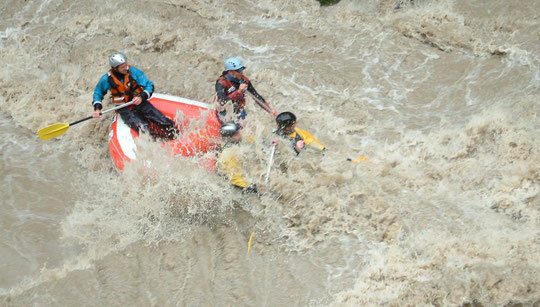 The International Rafting Federation (IRF) Award Scheme was developed in response to the demands of guides, companies and authorities from various parts of the world that were seeking minimum standards for guides. 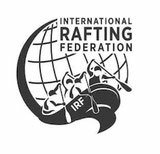 Your IRF Award is being accepted by more and more countries world wide as a standard for guiding and in some countries as a National Standard. There are many guides and/or companies who are now acknowledging the IRF award throughout the world such as in Australia, Brazil, Columbia, Costa Rica, Croatia, Czech Republic, France, Greece, Hungary, Holland, Iceland, Japan, Malaysia, Netherlands, Portugal, Scotland, South Africa, Spain, Switzerland, USA and Venezuela. NB: Some countries still require a guide to obtain their own National Standard also. 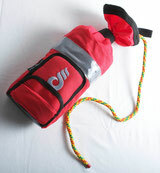 A current Red Cross first aid certificate (FAC) or equivalent with cardiopulmonary resuscitation (CPR). (Less than 3 years old). Log book recording each run, signed by the Trip Leader or Operations Manager of the company. Guide, Safety Crafter and Trip Leader Renewal costs after 3 years US$25 plus US$25 if you require a card issued by the IRF. Instructor renewal is for free if the criterias of the AS are fulfilled, otherwise recertification is necessary.